Thank you for your recent service. We really appreciate your business, support and feedback, and truly value you as a customer. Our goal is to provide the very best service and we are always looking for ways to improve. We are looking to gain feedback on our service so that we can enhance your experience and make our customers happy. We would love to hear your feedback, and I would be incredibly grateful if you could take a couple of minutes to write a quick review for us. This will allow us to improve our service and let others recognise the value we provide. To submit your review, simply click the button below and let us know what you think. Very good job and was very prompt. Worked very fast and efficiently. Great work!! Will be using Konrad again as he is highly recommendable! The highest notes for this company! I have never been disappointed !!. real professional !! Great job!! Quick ly done and very economical. Great service at a competitive price. Will certainly use again. I highly reccommend Konrad. He was pleasant, prompt and did a really good job. We will definitely be asking him back for work in the future. Konrad was really helpful and friendly, got all the jobs done and also came back as we realised we needed some other parts to complete the job. I am very pleased and Mr konard even came back to resolve an issue. I will deff contact me konard for further work. Thank you appreciated. Polecam Pana Konrada w 100%. Bardzo dobry fachowiec- szybko i solidnie wykonal swoja prace. Polecam. Konrad did a great and very neat job putting up our outside lights. Very pleased with the service he provided and would definitely recommend him to anyone. Konrad did a very good job and he was quick and tidied up after himself. He stuck to the price he quoted. Would recommend. Good job and good communication. 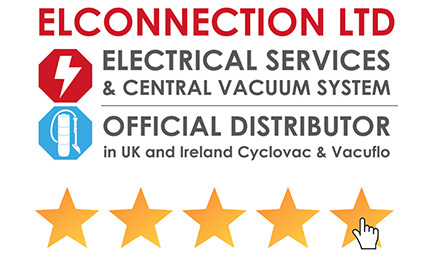 Konrad from ELConnection recently repaired my kitchen and bathroom extractor fans. He was fairly priced and very capable and was able to get the repairs done very quickly after I contacted him. I would definitely recommend him and the company!